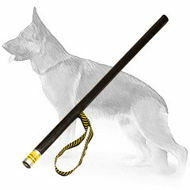 Your German Shepherd is pulling too strong? 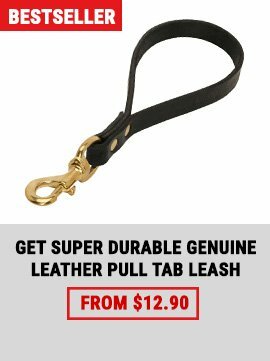 You dream of a strong and reliable dog leash that will help you to solve this problem? 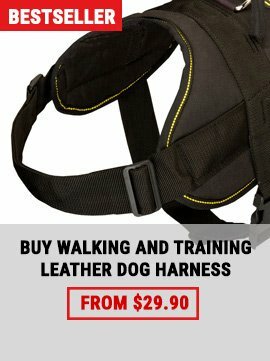 And, of course, you want to be sure that it will provide you and your canine with necessary safety, durability, comfort and reliability? 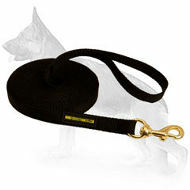 Well, you will be glad to know that there is a leash that can help you to solve these problems! 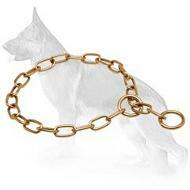 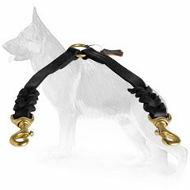 Check this Gorgeous Leather Dog Leash! 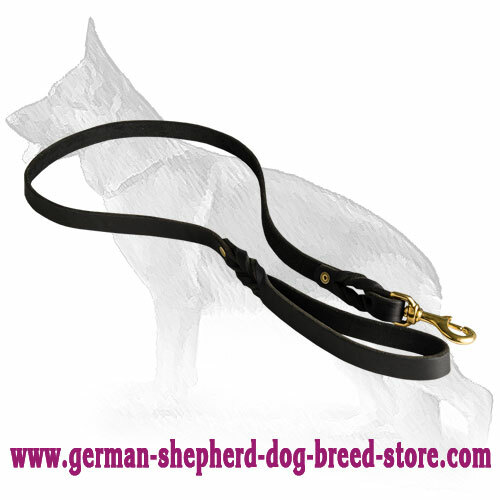 Don't waste your money buying every month a new leash, order this Leash and enjoy daily walks with your beloved German Shepherd! 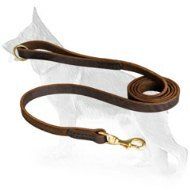 Made of 100% full grain natural leather, this Leash is extra strong and won't probably tear for years. 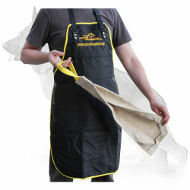 It is designed to be durable enough to withstand overload when your four-legged friend pulls too hard. 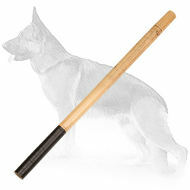 This dog tool has brass snap hook that is resistant to rust and corrosion. 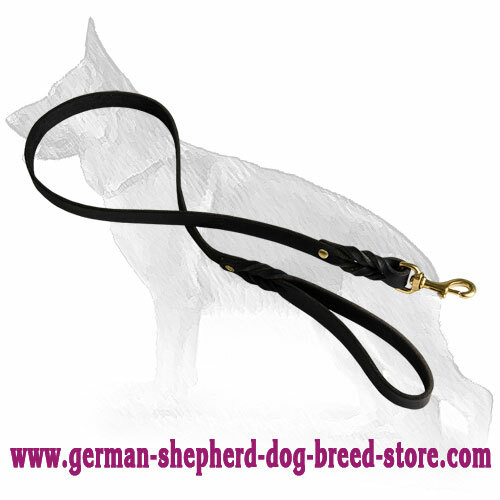 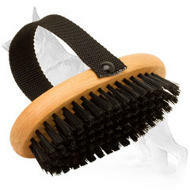 It is very easy in use - just one click and your German Shepherd is ready for walking or training! 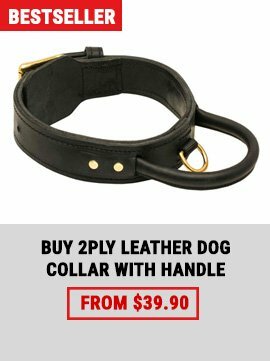 This Dog Leash can be used for many dog activities. 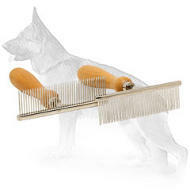 Everyday walking, obedience training - everything is possible with this dog item! 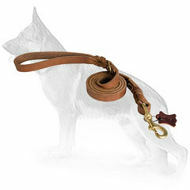 This Leather Leash is decorated with fancy braids which will add some luxury to your usual daily walks.